Let your family and friends see your calendar, and view schedules that others have shared with you. For more info on Google Calendar check out the about page or see the help page. You can start using Google Calendar by going to the BishopApps page, logging in as usual with your OWU email credentials, and then clicking on the “Calendar” link in the square drop down menu in the top right corner. Google calendar has a setting (Menu Button -> Settings -> General settings -> Use home time zone) that could cause problems if set incorrectly. Here are instructions to check your timezone and correct it if necessary. In the top left corner, tap Menu > Settings > General. Under “Your current time zone”, choose: (GMT – 04:00) Eastern Time from the drop down menu. Open the Google Calendar app . In the top left corner, touch Menu > Settings > General. This option only works if you’re using Google Calendar in a web browser on your computer. Click the event you want to edit > Edit event. Next to the time of the event, click Time zone. Choose (GMT – 04:00) Eastern Time. When logged into BishopMail, there is a Calendar link in the square drop down menu on the top right of the page. Enter the email address of the person you want to share your calendar with. 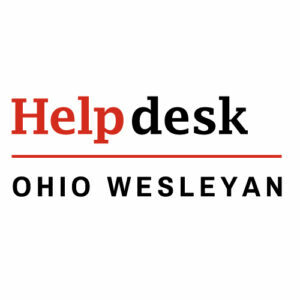 People in your Contacts and in the OWU Directory will automatically appear as you type. Select the box Share this calendar with others. The option to Share this calendar with everyone in the organization OWU BishopApps will automatically be checked. This will allow anyone with a BishopApps account to access your calendar by entering your name or email address into the Add a coworker’s calendar field under Other calendars. Log in to your BishopMail account. Once logged in to your BishopMail account, click on “calendar” in the square drop down menu at the top right of the page. Scroll down to the “other calendars” option on the left hand side of the page. Insert the URL of the calendar you’d like to import or type the name or email address of someone whose calendar you’d like to add. Now all of the events from the calendar you imported should show up in your own Google Calendar. Or to Import this Calendar, enter “owu.edu_ki4h5kclmmsgc3070cj7j1ghhk@group.calendar.google.com” (no quote marks) into the Other Calendars box on the left in your own calendar, and press Enter. To view the IS Training Room (Corns 109) and IS Conference Room (Corns 114) calendars you’ll need to use Ad-Astra. Here’s a link to it, and a link to our page about it. Go to event details page on your meeting. In the Add: Guests section on the right side of the page, enter the first few letters of a guest’s full name to look up the address in your directory. Select the guest to add him or her to your events Guests list. Optionally, select options in the Guests section to allow or prevent guests from changing event details, inviting more people to your event, or viewing who else is invited. You can add a group address to your Guests’ List (see the section on Google Groups). Or, you can create your own contact group in your personal contacts and add that to the guest list. If you copy and paste a guest list from another source (for example, a document), make sure you separate each address with a coma (semicolons are not supported). Google Calendar asks you if you want to send invitations to the guests. Your guests can respond to the meeting invitation and leave comments. Tip: If you want to check the availability of your guests before creating the event, use the Find a Time tab. You can see how your proposed event time will work for each guest. If necessary, use the date and time options at the top of the tab to change the time of your meeting. Or, simply drag the blue box to a time available to all guests. Your guest must be using BishopApps Calendar and sharing their free/busy info with you.